:God gives believers spiritual gifts for serving others in the church and the world. But which gifts apply to us, and how should they be used? Poythress turns to the authority of Scripture for answers. 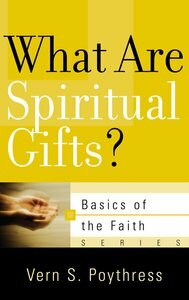 About "What Are Spiritual Gifts? (Basics Of The Faith Series (Formerly 'Reformed' Borf))"